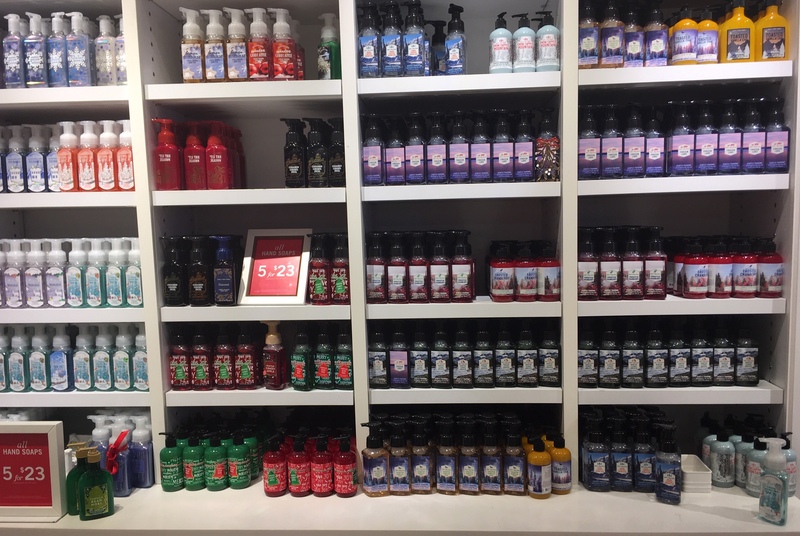 I was in Bath and Body Works yesterday sniffing through their vast collection of holiday hand soaps. Currently in my house, last year’s soaps adorn the sinks. I tend to over-buy so at the end of the season, I put those soaps under the sink until the next year. With a small amount of people in our house, it takes a couple Decembers to go through one. With my current stock, it will be 2021 before I need to buy again. This year I decided to avoid that shop like I avoid leaving Florida in the wintertime. I’m in North Carolina as I write this, so I guess both plans went south, or in the geographic case, north. So, I’m freezing and trying not to let my comments about how cold it is be all that I say to people. “Hi, I’m Bonnie. I’m freezing.” How’s that for an ice-breaker? Anyway, no matter what the temperature, I want to see my kids and grandkids, so I loaded up my car for a quick trip to see my daughter, who also happens to be my shopping buddy. She has four children so they can go through a container of pump soap in about 36 hours. She is the reason why Bath and Body Works is so successful. Burnt Vanilla Cookie – Even with a truly unpleasant fragrance, this soap cannot be resisted. You’ll smell like you just burned a fresh batch. Tinsel Trauma – Slightly metallic smell that will take you back to your childhood. Use in a well-ventilated room and keep away from children. May you have a wonderful, clean-smelling Christmas Season! So funny – love it! Mine would be the burnt cookie smell, in some bizarre attempt to make people think I actually cook. That’s brilliant. I should buy that for you! Oh, wait, it doesn’t exist! So funny! I love most of the smells, but once in a while you get a “ripe” one.